CANNES, France, Oct. 3, 2017 /PRNewswire/ -- The Cannes Corporate Media & TV Awards selected a three-part STEAM DIY Series produced by Chicago-based production house Richter Studios as a recipient of the Silver Dolphin in the Social Media and Short Video category. Winners were announced last Thursday evening in the French Riviera resort town where Richter Studios CEO Jeremy Richter and BISC Lincoln Park Director of Admissions and Marketing, Erin Woodhams, were on hand to receive the award. "Cannes is a wonderful city known for its red carpets and movie stars. To receive this award and share the same stage as some of the world's most iconic brands is a lifetime achievement," says Richter. I am so proud of everyone that made this happen - the creative team at Richter Studios, the faculty and staff at BISC Lincoln Park, and the wonderful kids that were featured." 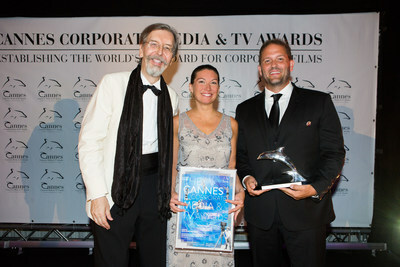 The 8th Annual Cannes Corporate Media & TV Awards recognized the world's finest corporate films, online media and TV documentaries with guests traveling from all over the world to be part of the exclusive awards ceremony. Both BISC Lincoln Park and Richter Studios felt privileged to be among the 174 winners out of 917 entries. 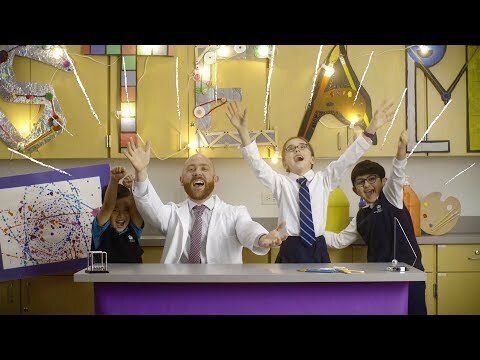 "It is great to see a piece of work focused on learning and STEAM education to be recognized with such a prestigious award," said Principal Ed Pearce, "Our STEAM collaboration with MIT has opened doors and experiences to our students that will prepare them for a world of jobs yet to be invented. As a primary school focused program, we value the cross-curricular and hands-on learning demonstrated in these videos." BISC Lincoln Park is an internationally-minded private institution preparing students two-years old and up to succeed through a values-based education at a state-of-the-art, five-story campus with a true-to-the-heart Chicago neighborhood feel. Founded in 2001, the school's mission is to provide an ever-evolving experience for ever-evolving learners. BISC Lincoln Park recognizes the uniqueness of each child through learning that promotes challenge and personalized education at all levels. To learn more about BISC Lincoln Park's unique, international private school experience, please visit: www.bischicagolp.org.